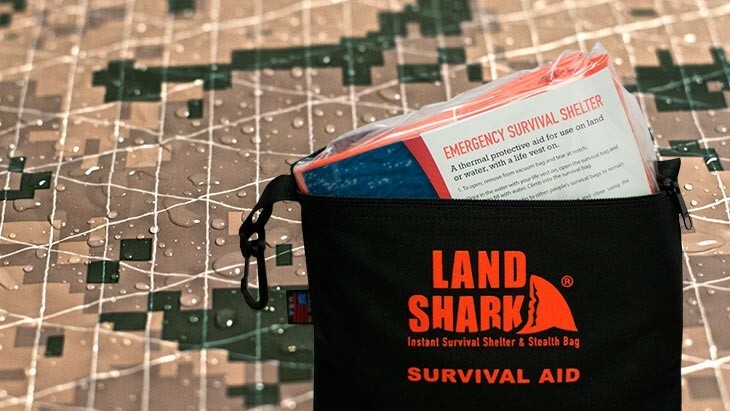 Corporate Air Parts, the company behind the Land Shark, approached Grid with their newest product - a stealth and survival bag that was more versatile and compact than current products on the market. They needed help bringing this potentially life saving product to market in a way that was professional and strategic. 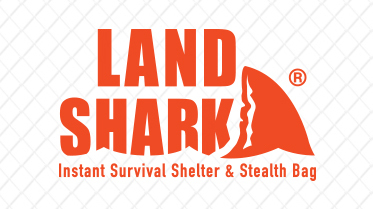 At Grid, we recognized that the biggest obstacle to selling a product like Land Shark, a product where someone would literally rely on it during a life or death situation, was to have the product extensively tested and reviewed by industry insiders. 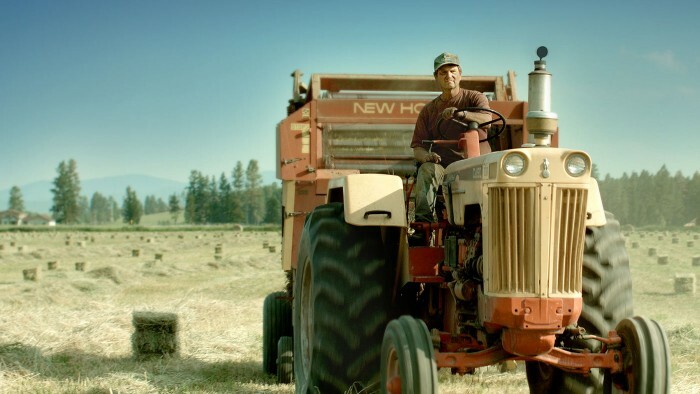 We knew that potential customers would want to perform extensive research on the product before they purchased - and they needed to be able to find independent reviews about it’s quality, reliability and performance in the field. 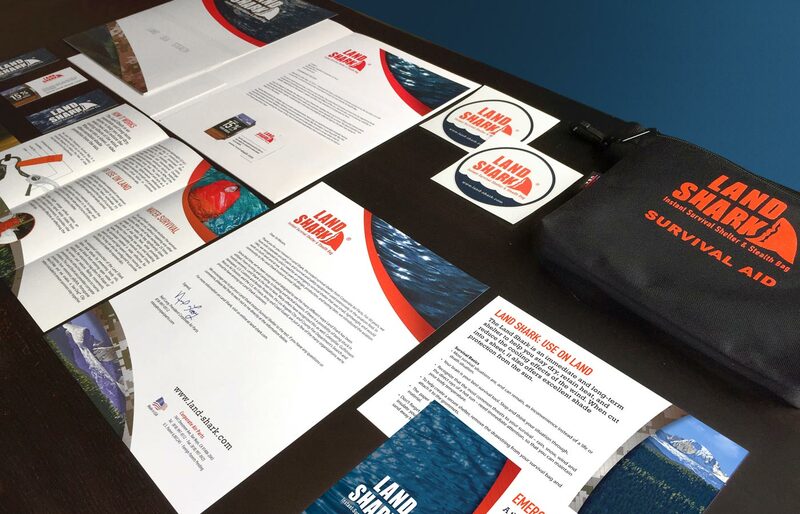 One of our first steps was to put together a high-quality product demo and press kit to get a Land Shark in the hands of a wide variety of industry insiders for review purposes. We designed and facilitated the production of a high-gloss branded folder, letterhead on which we printed a customized thank you letter for every recipient (hand signed by the owner of the company), a brochure that highlighted the features of the product, stickers for promotional purposes, and a unique discount code that the reviewer could provide to their own media audiences. 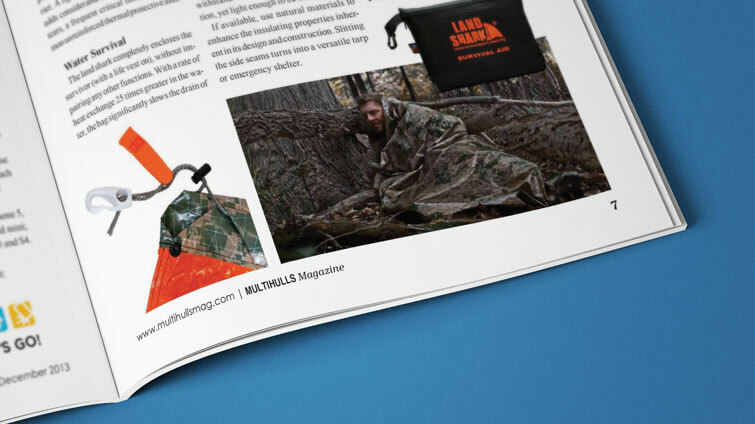 We reached out to a select number of bloggers/vloggers, magazine and newspaper product reviewers, online stores and forum communities, making sure to get product demos in the hands of all sorts of outdoor enthusiasts - survivalists, emergency preppers, hunters, hikers, boaters and aviation enthusiasts, just to name a few - and encouraged these enthusiasts to perform their own independent testing of the product, in whatever manner they might find themselves using the product, and to share that unedited review with others in their communities. 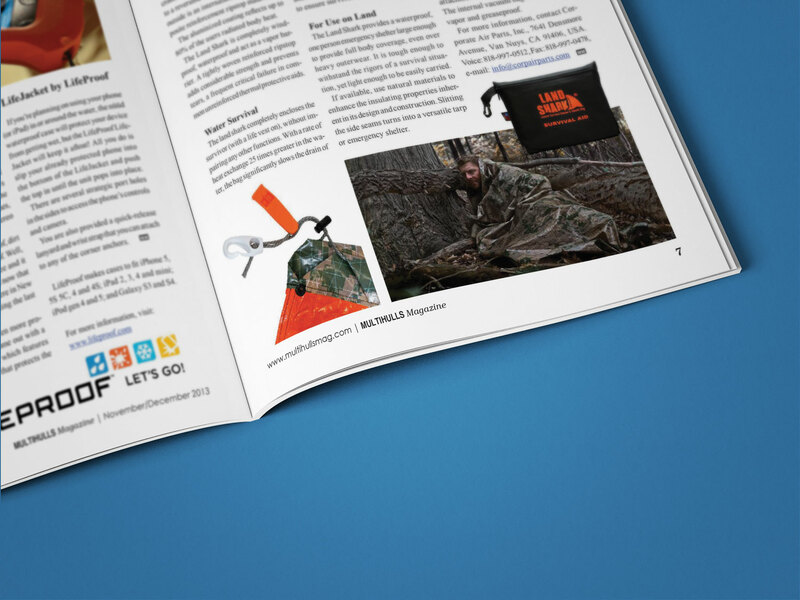 The positive reviews began to pour in; from features in printed publications, such as the American Motorcyclist Magazine and American Handgunner, to popular online communities such as HuntingLife.com and The Loadout Room. The response was overwhelming! 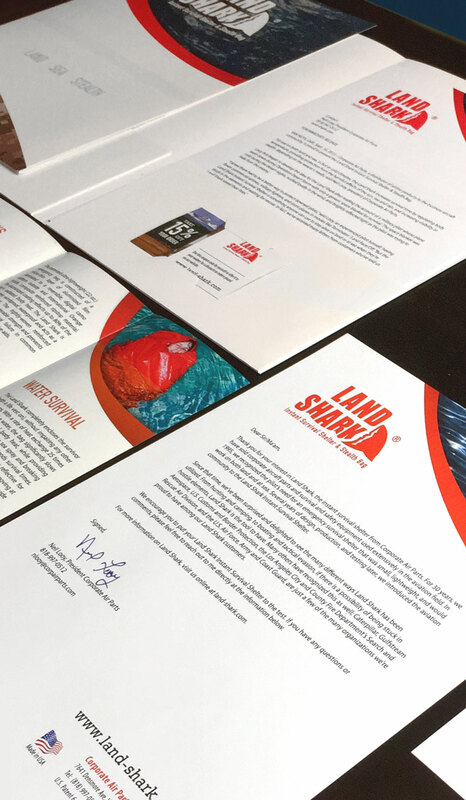 While we can’t take credit for the quality of the Land Shark product itself, we do take pride in putting together an attractive and informative kit that prompted these reviewers to take the time to evaluate the product and share it with their own communities. 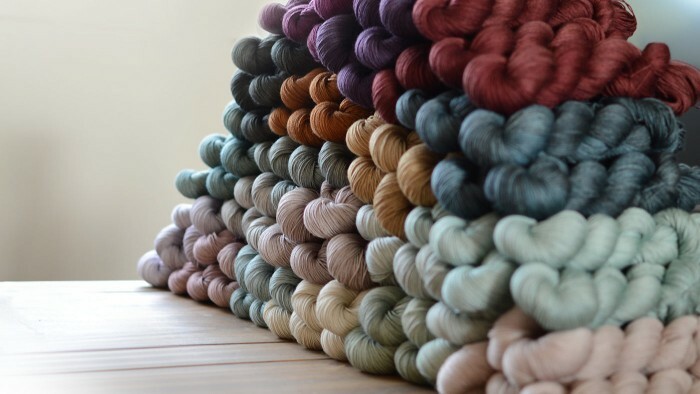 The primary goal to getting these product demo and press kits out was to generate product reviews that would help drive the decision making process of potential customers. Anyone looking to purchase a potentially life saving product would rely heavily on recommendations from friends and family, and from unbiased, thorough reviews posted by independent media sources within the community that the potential buyer self-identifies with. 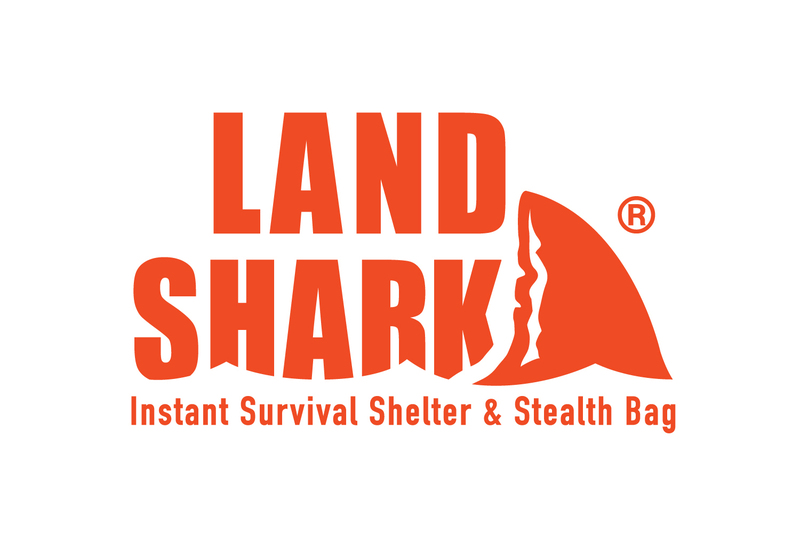 Since forming this solid foundation of reviews, we have continued to work with Land Shark in many other marketing areas, including branding, designing and developing their website, product packaging and photography, digital advertisements (including negotiating contracts), branded clothing, search engine marketing, blogging and social media, generating military and government sales channels, brainstorming and implementing a comprehensive affiliate marketing system, and ongoing website traffic analysis and updates.